If a yoga retreat is on your bucket list, there is no better time to roll up your mat, pack your bags, and hit the road! Yoga retreats are HOT right now. With destinations from Iceland to Costa Rica, activities from massage to snowshoeing, and accommodations from tents to five stars, the options are endless. A retreat is so much more than a vacation. They may seem similar on the outside, but the difference lies in what happens on the inside. A retreat isn’t just about exploring exotic locals. It’s an opportunity to take a beat, step back, and turn inward. It’s not so much about doing, as it is about being. 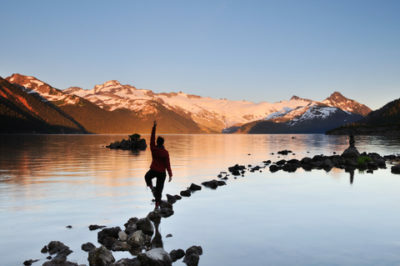 We strongly suggest signing up for your yoga retreat solo! Why? It’s the perfect place to meet new people! You will undoubtedly find individuals with similar interests, and during your time together, you will learn and grow together. In what feels like a heartbeat, you will have forged bonds that will last a lifetime. When is the last time you had your passport stamped? Sure, there are plenty of staycation-style yoga retreats to choose from, but there are seemingly infinite destinations for the the globetrotters among us. A yoga retreat is an opportunity to nourish your mind, body, and soul! Retreats offer a chance to step outside of your day to day life and create new habits. Many retreats feature healthy foods, cleansing your body from within. You will tend to your spirit through daily mindfulness practices. By the end of the retreat, you will feel nourished, inspired, and ready to take on the world! It doesn’t matter what your yoga practice is like at home. A yoga retreat will take your practice to the next level! Many retreats include twice daily asana practices in addition to other mindfulness practices, deepening your flexibility, strength, and awareness. In addition, stepping outside of your regular spot in your regular class at your regular studio challenges you to step outside of any ideas you may have about what you are capable of. You’re in a new place, so why not try something new? Speak a new language? Check out a new food or activity? New experiences give you a chance to see yourself, and the world around you, in a new light. Sure, lots of resorts and retreat centers now offer WiFi, but you won’t feel the need to use it! Your days will be filled with mindfulness practices, exciting adventures, new friends, and most importantly, rest. Retreats are a chance to disconnect to reconnect! Let’s face it – many of us have a hard time letting go. There’s always more work to do, another dish to clean, and another errand to run. Sometimes, we need to be far from home to give ourselves permission to truly relax. Retreats are an opportunity for you to kick back and let someone else take care of YOU! When you step outside of your regular routine, you have a clean slate to replace old unhealthy habits with new conscious behaviors. 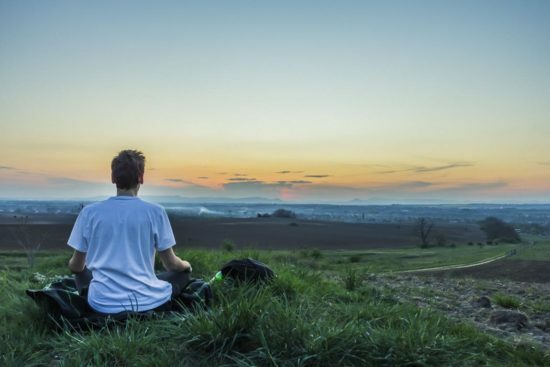 A retreat is a perfect chance to start waking up earlier, eat better, be more active, pick up a new hobby, change the nature of your self-talk, set goals and intentions, and so much more. The key to life is happiness, right? And the key to happiness is deciding what you really want, and doing what is necessary to make it happen. We all make excuses – “I don’t have the money,” or “the timing isn’t right.” The fact is, we can make excuses until we’re blue in the face. You work hard! You deserve a break! Decide what you want and make it happen. We believe in you! So are you ready for a retreat?! Get started with our Tips on Finding the Best Yoga Retreat for You, and check out our 2018-19 Yoga Retreat Guide for a selection of our favorites!